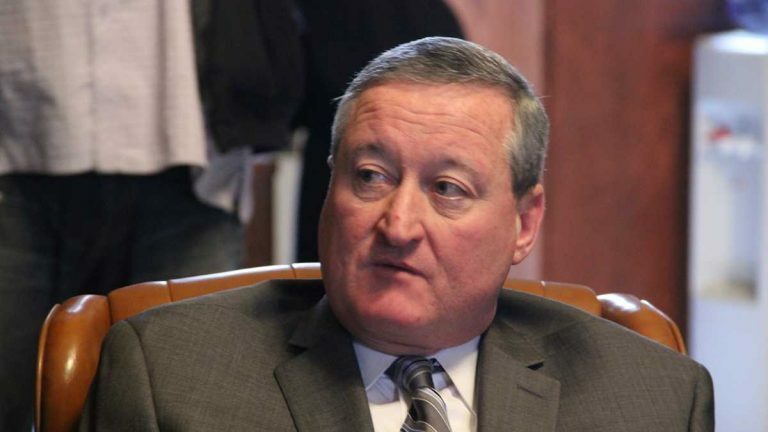 Is Councilman Jim Kenney just the Flavor of the Week? That’s what Ed Rendell called him a few days ago, and he’s right, in that Kenney’s expected entrance into the Philadelphia mayor’s race this week is Philadelphia’s political story of the moment. But Kenney certainly has the potential to be more than that. He has a history and potential base of support that qualify him as a serious candidate for the mayor’s office. It’s a little strange, though, that he’s so quickly reversed his decision not to go for the big prize in 2015. Opportunity knocked. Attorney Ken Trujillo stunned the Philadelphia political world by withdrawing from the race last Wednesday. While he wasn’t well-known to voters, Trujillo might have put a couple million bucks of his own into the race and made himself a contender. And since Trujillo’s target voters were among those Kenney hoped to appeal to – progressives, good government types, and white voters generally, Trujillo’s departure opens a space on the field Kenney can aspire to fill. There’s also the happy coincidence that Trujillo’s experienced campaign team is assembled and apparently ready to go to work for Kenney. He doesn’t even have to look for office space. Just add money and stir. It’s a conclusion driven by crude racial math: there’s one prominent black candidate (State Sen. Anthony Williams) in the field and two white ones (Abraham and Kenney). That math is far less predictive of Philadelphia mayoral races than it used to be, but it still matters. Set that aside for the moment, and consider Kenney’s political assets. He’s been elected five times in citywide elections, and while Council-at-large races are more about political alliances and ballot position than voter preference, Kenney has banked some name recognition over the years. Democratic strategist Mark Nevins told me Kenney also has some appeal in disparate constituencies. Kenney came up in political family of State Sen. Vince Fumo. I first met him in the 80’s when he was chief of staff for Fumo’s Philadelphia office. He was elected and re-elected to Council largely on the strength of Fumo’s political clout, but he broke with the senator in the mid-2000’s, when Fumo was the target of an FBI corruption probe that eventually sent him to prison. (Kenney is just one of many bright people Fumo recruited and hired who went on successful careers – among them Randy Albright, who was just appointed state budget secretary by Gov. 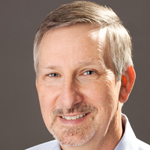 Tom Wolf). Kenney emerged from the Fumo association with remarkably little taint, and over the years fashioned his own profile as a public official. He was an early defender of gay rights as well as an early proponent of campaign finance limits and changes in marijuana laws. Thus he stands, as Nevins says, as someone well-regarded in liberal circles who still has relationships with plenty of Democratic ward leaders. Whatever his level of appeal to voters, Kenney’s mayoral ambitions will depend to a considerable degree on his ability to raise the money he’ll need for an effective TV advertising campaign, which will cost a couple, maybe three million bucks. And it appears that Kenney will get a powerful boost from Philadelphia union leaders who’ve been talking about uniting around a single candidate. The building trades in particular are known for large campaign contributions. Individual union locals can give up to $11,500 to a candidate under city campaign finance laws, but they could also join in an independent expenditure effort to spend whatever they want in support of a candidate, provided they don’t coordinate with the candidate’s campaign. The unions did just that last spring to support northeast Philadelphia State Rep. Brendan Boyle’s successful Congressional campaign. Local 98 of the International Brotherhood of Electrical Workers is known to spend hundreds of thousands on its chosen candidates, and its leader John Dougherty has been saying nice things about Kenney lately (small world disclosure: Local 98 represents engineers here at WHYY). Many have noted the rich irony of a Dougherty-Kenney alliance. To say they adversaries in the past is putting it mildly. While the unions should be helpful financially, their support could make Kenney vulnerable to the charge that he’s a special interest candidate and undermine his appeal among good government types. Seems he may have either an impressively diverse coalition of support, or one with such conflicting aims that it’s bound to splinter. As for the racial arithmetic that Rendell says leaves Kenney with no chance, I’ve seen enough mayor’s races to know they’re unpredictable. Milton Street and Doug Oliver might cut into Williams’ black support, and his past advocacy of school choice might do that, too. And it’s not clear whether Abraham will raise enough money to make herself a potent alternative to Kenney, or whether she’ll run an effective campaign. Abraham is a formidable campaigner, but you just never know how things will unfold. All indications are the decision is made, though he could always get cold feet and un-make it. He’s told many in recent months that he felt the financial pressure of child tuition payments and didn’t feel he could give up his salary for the year it would take to campaign (he’s legally required to leave Council the moment he announces). I’ve known Kenney for 30 years and like many reporters, I’ve found him thoughtful, likable and very quotable. But I’ve sometimes wondered if he has the executive temperament for the mayor’s office. He often seemed driven by anger or resentment, and was sometimes too willing to vent his spleen publicly. How’s that for a journalistic double standard: we love the fact that Kenney speaks frankly and voices his emotions, then wonder if he’s too hot-headed to be mayor.Ed Rendell was often too candid for his own good, and he survived plenty of impolitic moments.If you want a taste of Kenney’s voice, our buddy Patrick Kerkstra at PhillyMag has assembled some of his more memorable Twitter salvos. Who knows where this takes us, but Kenney in the mix is sure to make the race more interesting.